Picture yourself floating in outer space, then suddenly getting sucked into a black hole filled with monstrous riffs, bellowing vocals, and pummeling drums that mimic that screaming disdain you have for your mundane existence, what you just experienced was Cleveland’s Infalling. 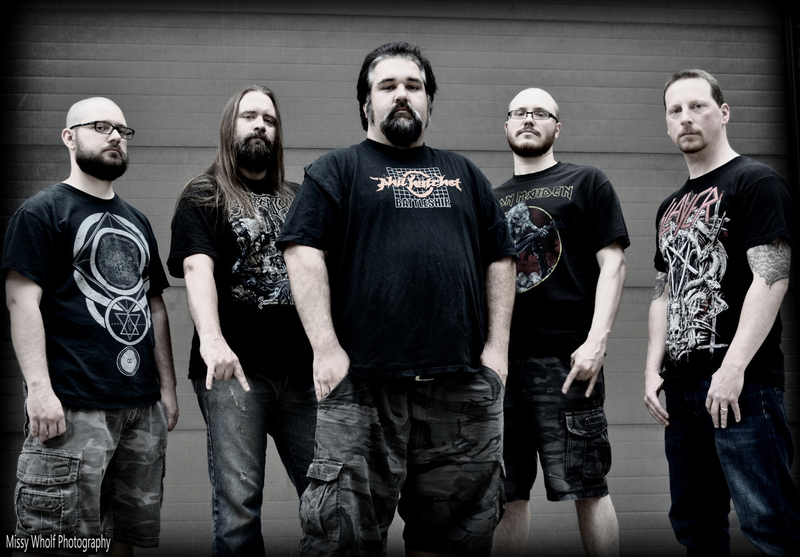 This aggressive and groovy five piece is responsible for writing crushing thrash-tinged death metal. Multiples members of the band come from various Cleveland projects including Stresslord, Odious Sanction, and Pale Creation to name a few. The members are a culmination of Tony Balante berating the microphone, Justin Endres and Kyle Knicely crafting chugging riffs on guitar, Ben Smith slaying on bass, and Eric Frabotta setting the pace on drums. 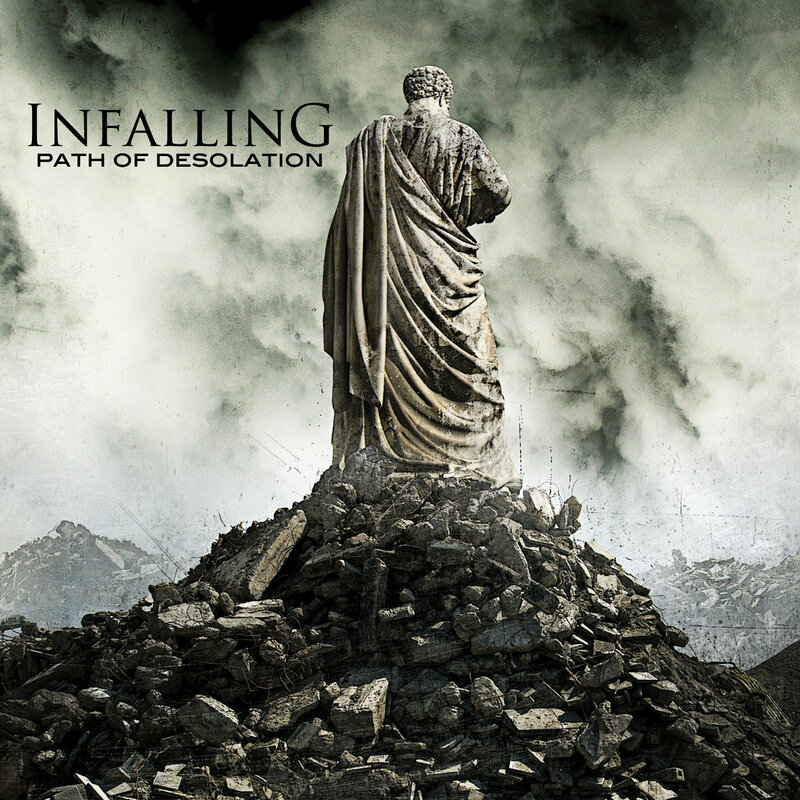 Infalling is a sanctuary for the members giving them an outlet for creativity, fuelled by passion and dedication to write their best material yet. Their boisterous sound is credited to their tried and true influences ranging from Metallica to Suffocation and helps them shape the auditory roller coaster that is Infalling. Their writing process is a little unorthodox considering they conceptualize the songs based on the song titles, EP title, and then artwork; This reversed process has allowed them a sense of direction and visual cues to base their instrumentals on, from there the drum tracks are created, followed by riffs, and finally vocals. Their give and take relationship with crowds allows them to engage with fans at shows and have heads banging and horns in the air by their first song. The band is planning to unleash their sophomore EP ‘Ominous’ which has a clarity and aggression that surpasses their first EP ‘Path of Desolation’ and oddly enough is a prequel to their past release. Lyrically, ‘Ominous’ is an incredible epic weaving that weaves together a post-apocalyptic struggle for mankind’s survival peppered with loss and turmoil. This EP is slated to be released in late 2015 and is sure to draw you in!